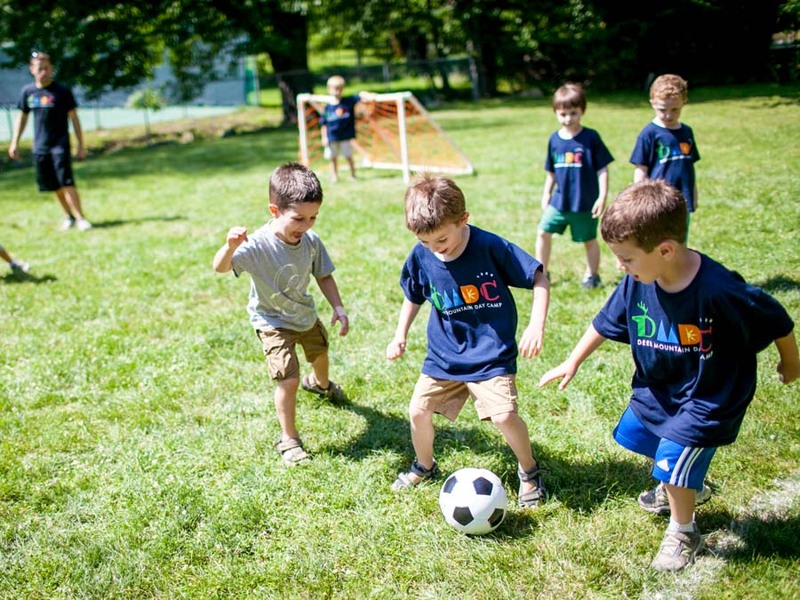 Get ready for an amazing summer at Deer Mountain Day Camp. Camp 2019 starts on Thursday, June 27th and runs Monday-Friday thereafter, until Thursday, August 22nd. Camp will be closed on Thursday, July 4th and Friday, July 5th. Need more information about tuition? Contact us. What’s the duration of your camp sessions? Your child can attend camp for 4, 5, 6, 7, or 8 week sessions. These weeks don’t have to be consecutive, but we do recommend it—especially for shorter sessions—to amplify your child’s camp experience. What are Deer Mountain’s camp hours? Camp runs from approximately 9am to 4pm. Pick up and drop off times will vary based on your location. If you’re a working parent, consider our pre-/post-camp care programs. We provide supervision and special programming from 7am-6:30pm, including breakfast and afternoon snacks. How do I reserve my child’s spot at Deer Mountain for the upcoming summer? You can register your child for the upcoming summer online, here. You’ll first have to log in or create an account in our CampMinder database system. Then, fill out the Camper Application. Reservations require an initial deposit and full payment is due by April 1st before the upcoming summer. I want to send my child to Deer Mountain, but I don’t know our summer schedule yet. What should I do? Our suggestion: make your best guess, and register now. We make it easy to accommodate schedule changes later on, if necessary. 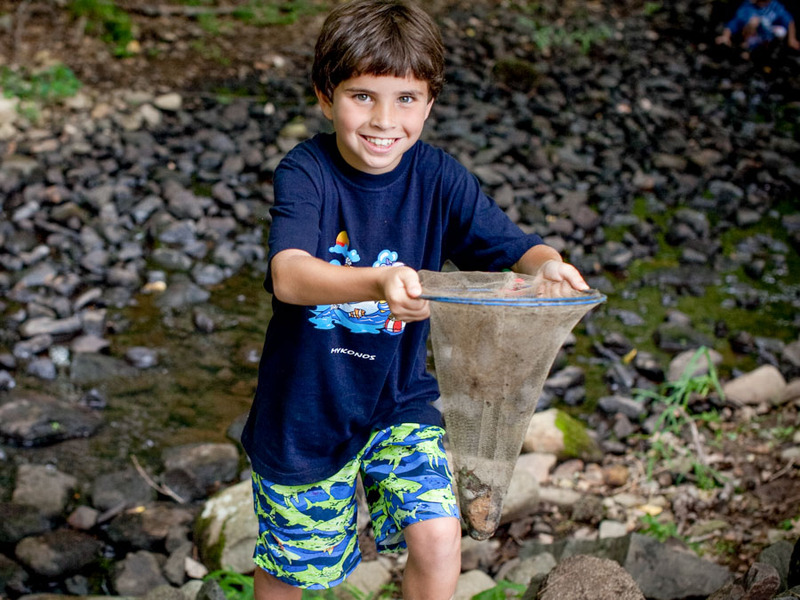 Can I change my child’s camp session after I’ve already registered? Yes, session weeks can be changed through the spring. Just call our office and let us know your schedule change or conflict. We’ll make the adjustment as seamless as possible, based on our availability. Can I add weeks to extend my child’s stay at Deer Mountain? It’s best to extend your child’s schedule before the summer starts. If your child is having a blast and wants to stay at camp longer, we do our best to accommodate extensions based on availability. We try to make things easy for you! We provide a DMDC backpack. At the beginning of the season, you just need to send 3-5 bathing suits, pool shoes, bottle of sunscreen, extra change of clothes, a jacket as well as any other items your child might need such as a swim shirt, swim goggles or hat. We will keep all items at camp M-F and send home the backpack on Friday afternoon only with what needs to be laundered (typically the bathing suits). We have a towel service, so your child will get a fresh towel for each swim. If we need an additional item of clothing or a refill bottle of sunscreen throughout the course of the summer, we will let you know. If it’s not a Monday morning or Friday afternoon, you won’t see a backpack. We take care of everything in between! No, because we have iced water available throughout camp and in every building with cups. We make sure the sunscreen you sent with your child is properly applied before and after each swim period. We recommend you apply the first layer before he or she gets on our camp bus each morning. For campers who are particularly sensitive to the sun, additional sunscreen can also be applied during the camp day.